C.L. SWISHER LEGAL GROUP is committed to meeting your needs. We offer quality legal services at reasonable rates. At our law office, you are an integral part of our team to achieve results. Criminal Defensse , Modification of Child Support, Reduce or Increase Payments, Paternity, Enforcement, Visitation, Modification Contempt, Attorney General cases, MiC, and Power of Attorney/ Living Will Documents, Expunctions/Non-Disclosures,, and Contracts. 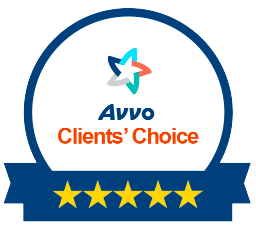 Review Client Testimonials on AVVO. I contacted Attorney Swisher regarding a legality concern. The legal assistance I needed was not an area of her practice. Nonetheless, she listened intently. Afterwards she provided me the name of another attorney, who may be of assistance. It is good to know there are some attorneys who care enough about your legality concerns even if they are not able to take your case! Thank you, Attorney Swisher. Attorney Swisher is really good. And, she is willing to work with you. One thing that really stood out for me is that she will tell you the truth. This was very important to me! Therefore, I highly recommend her services. I contacted Attorney Swisher regarding a legality concern. The legalI cannot find the words or accolades to say what a pleasure it was to work with Ms. Swisher. Even though our matter did not go through as expected (not due to Ms. Swisher), she was very supportive all the way! Her office staff was very accessible and worked with us as well. Ms. Swisher is a Blessing from God and if ANY other legal matters should arise, we will DEFINITELY call her first. Thank you so much! I spoke to Ms. Swisher and she was very helpful. She took out time to explain to me and help me better understand my situation. Not only did she give me supperb professional opinion. She didn't try to take my money. Ms. Swisher is the best attorney that I have ever came in contact with.